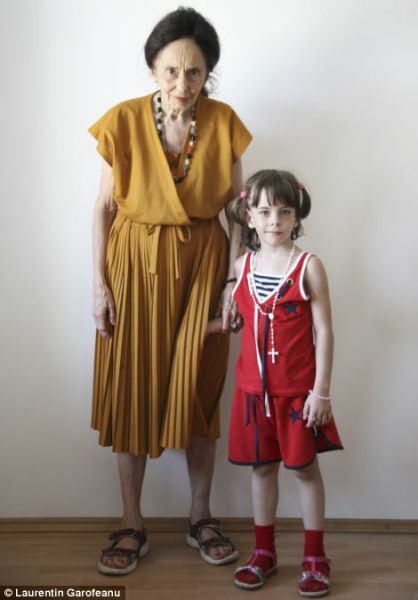 Seeing Adriana Iliescu and her 5-year-old daughter Eliza walking hand in hand, you are more likely to believe that they are a great grandparent and a granddaughter. 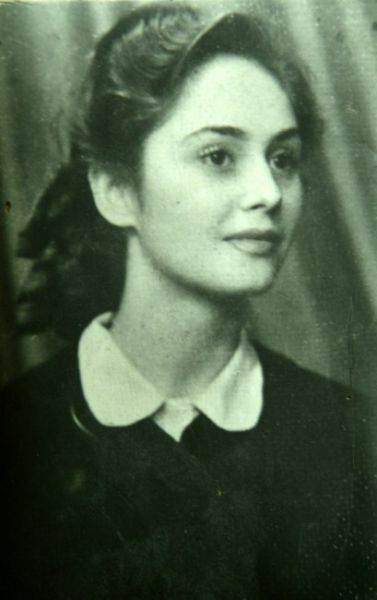 Adriana, a writer from Romania, delivered Eliza at the age of 66, and she is 72 now. 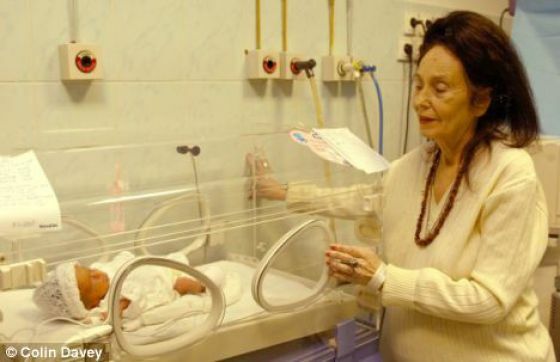 She became the oldest mother in the world in 2005 thanks to IVF. People call Adriana granny for fun, but she got used to it. 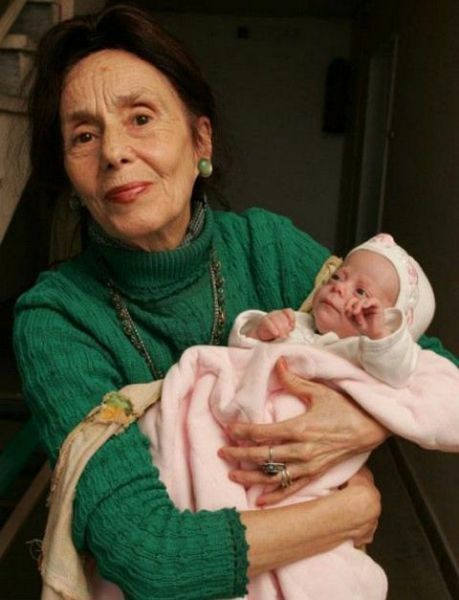 And what would you say if a 72-year-old woman delivers another child? Adriana is healthy, and she doesn’t deny the possibility of having another baby at her age. How much time does Adriana think she has? In case of her death, her daughter will have a guardian and three properties that Adriana has now. Of course, Eliza is a smart kid. She can read and write, and she has many friends. But is it fair on her to have such an old mother who even doesn’t tell her daughter how old she is? This life story continues to divide opinion. thank God for every life on this planet, but it seems irresponsible this story ... what will happen to this girl in ten years when her mother has more than ninety years? If the kid is 12 she dosnt have a mother anymore..
this was all over the news back in `05. I think she is irresponsible(the mom), yeah the kid has a legal guardian in case she dies but no other family. 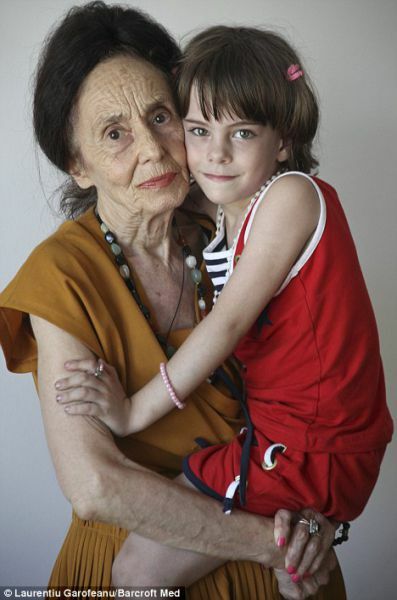 oh and in `06 an even older woman(66 then, but still a couple months older)in Spain had twins, but died from cancer at 69. So I wish the kid the best of luck, she`ll need it. my mom died when i was 12.. It's horrible, bad things happend to the people around me!! Still sorry for that! With the world being so overpopulated and the planet dying as a result, old ladies, no matter how beautiful, should not be breeding. Her pregnancy was an act of selfishness. The child will suffer in the end.